World leader in luxury wine and spirits Moët Hennessy, executive in-flight concierge On Air Dining and leading private jet charter marketplace Victor have partnered exclusively to create a completely unique ‘personal flying experience’ for on-demand private fliers. Combining culinary artistry with the finest ingredients, On Air Dining has designed a selection of ‘sky-high’ dishes to complement a special hand-picked selection of Dom Pérignon Champagne and wines from the Moët Hennessy stable. From today, delicacies such as cured Loch Duart salmon with oyster mayonnaise, dashi cucumber and oscietra, paired with Dom Pérignon Vintage 2009, and pan-roasted langoustine with confit pork croquette, truffled leek, shallot and parsley, paired with Dom Pérignon Plénitude Deuxième (P2) 2000, will be available as an exclusive in-flight option to Victor customers flying from the London area. With several different fine-dining menu pairings to select from, and the possibility to further tailor those choices, Victor fliers will experience a new level of personalized, ‘high touch’ luxury travel. On Air Dining are leading innovators of menus designed for maximum enjoyment at altitude, using advanced cooking techniques to enhance the effects on the palate when eating in-flight. Working closely with Dom Pérignon’s tasting experts, they have been able to develop an exceptional, harmoniously-balanced celebration of food and drink for private jet charterers. Other dishes, which Victor customers can order at an additional cost (pricing upon application), include Lobster and Butter-Poached Chicken, paired with Cloudy Bay Te Koko 2015 from Moët Hennessy’s renowned wine stable. 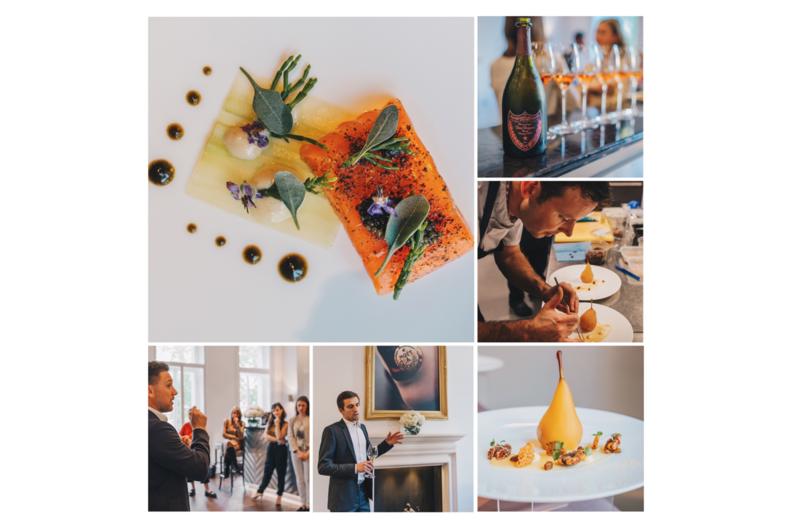 The menu On Air Dining and Moët Hennessy have expertly curated also reflects feedback from Victor customers and nods to the tastes and flavours associated with some of Victor’s most popular routes. Moët Hennessy, No. 1 worldwide in Luxury Wine & Spirits, owns prestigious brands such as Moët & Chandon, Dom Pérignon, Hennessy, Glenmorangie, Ruinart and Veuve Clicquot. As a part of LVMH, luxury sector leader, Moët Hennessy is recognized for the quality of its products, its constant research of excellence and innovation. Moët Hennessy realizes more than 90% of its sales turnover in the export and embodies the French Art de vivre. This unrivalled catalogue of prestigious products symbolizes excellence and authenticity. These products are all positioned in the high end of their respective markets. The portfolio includes sparkling and still wines from the world’s most celebrated wine-growing regions. 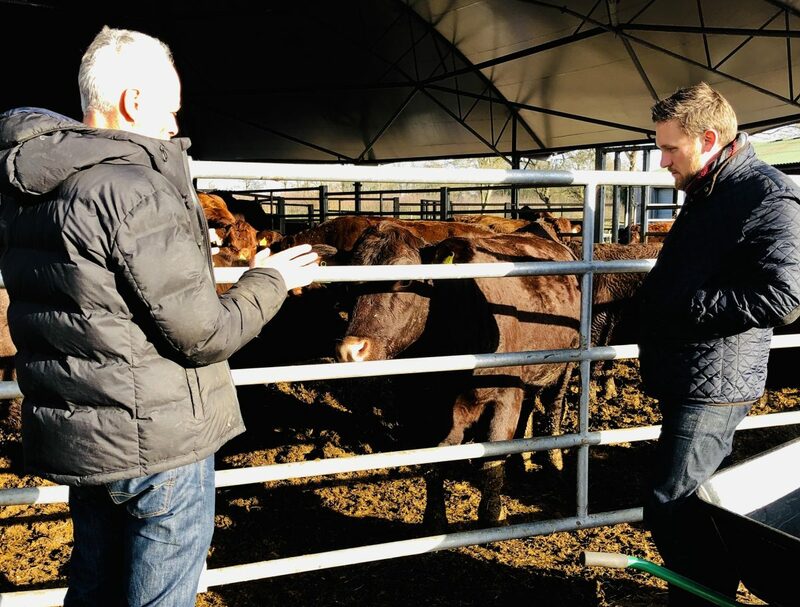 The Maisons of the Group are all supported by a powerful global distribution network that has been strengthened over the years, coupled with an unrivalled stream of innovations aimed at recruiting new consumers. 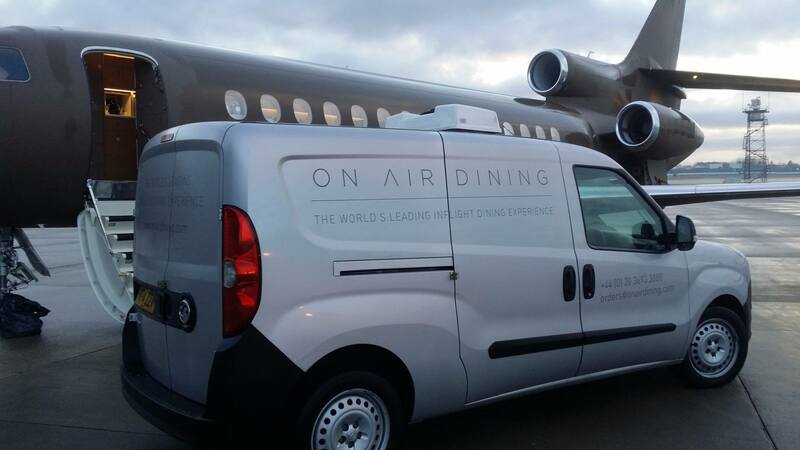 On Air Dining is the UK leading executive, in-flight culinary specialist and concierge company based out of Stansted and Farnborough Airports in the UK, offering fine dining restaurant experiences aboard private jets. Inspired by the Michelin-star standards of London’s most exclusive dining establishments, the company has teamed up with some of the city’s top names to create a unique and expansive range of luxury food. Bringing gourmet dining into the world of private aviation, the company takes extensive measures to ensure that discerning travellers can enjoy the same five-star quality they would enjoy in a restaurant or aboard a luxury yacht. On Air Dining offers a service which is unparalleled in scope and execution, its pragmatic approach (including free culinary training) ensuring that meals can be implemented with the finesse they deserve. 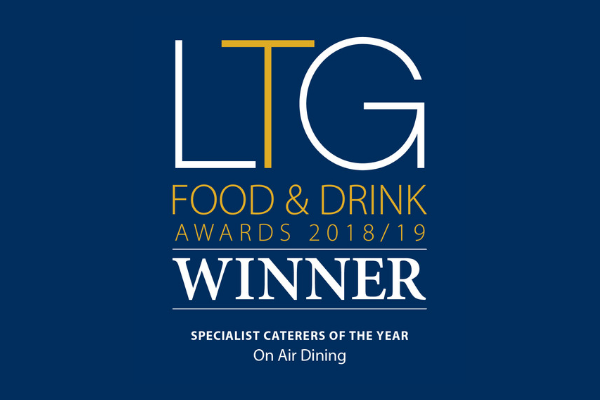 This devotion to quality is only matched by the On Air dedication to equality, the company operating the only Halal-certified private jet catering kitchens in the UK, to ensure they can meet clients’ diverse dietary needs. On Air Dining offers something which is inherently exclusive, but also opens the world of fine dining to luxury travellers of all backgrounds and inclinations. Victor, part of the Alyssum Group, is a leading on-demand jet charter platform. Launched in 2011, the company has rewritten the jet charter rulebook with a fully-transparent, subscription-free, globally ‘on-demand’ marketplace allowing members to swiftly check pricing options and aircraft specifics before booking the flights they need. 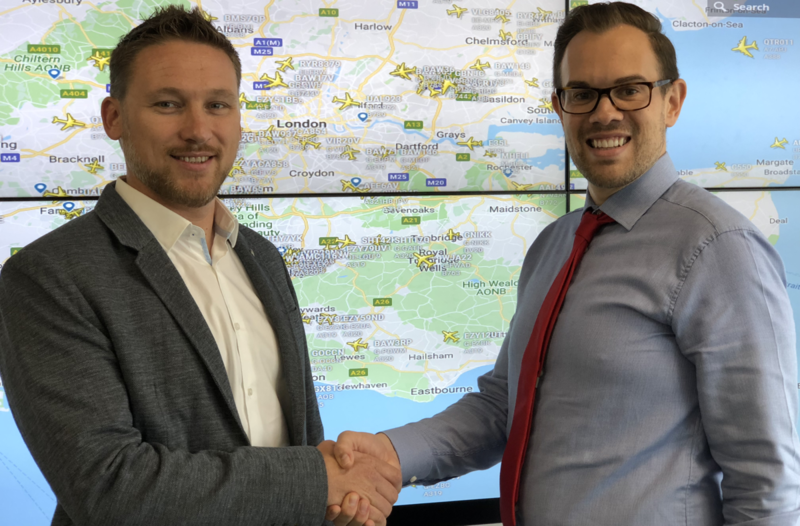 Victor’s unique combination of smart technology and exceptional ‘high touch’ customer service, means that its B2C and B2B customers – with access to thousands of aircraft via a global network of over 200 partner operators – are always connected and in control. Raising $38m in Series B funding over the past nine months – including key institutional investments from BP Ventures and BBA Aviation – Victor continues to expand rapidly. The company, officially launching group charter and cargo divisions at the start of 2018 to complement its main marketplace offering, has made the Sunday Times Tech Track 100 for the last three years, and both the Deloitte UK Tech Fast 50 and Financial Times FT1000 for the past two. Victor’s recent fundraising has also paved the way for the creation of Alyssum Group, under which it now sits as a subsidiary business alongside leading aviation services business RocketRoute. Through major investment and acquisition Alyssum Group will create a connected digital marketplace servicing the entire aviation community – customers, operators, brokers and suppliers. This long-term commitment to consolidation and innovation can help dramatically raise business standards across the industry and accelerate market growth that benefits all.